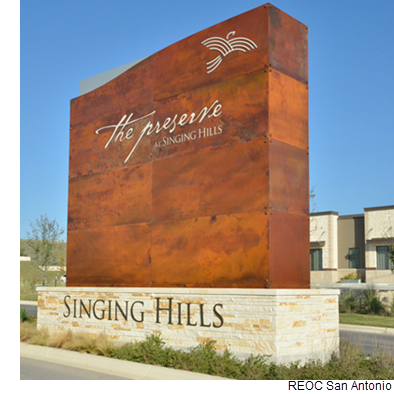 ​ BULVERDE – The Singing Hills mixed-use development, located at US 281 & Hwy 46, experienced a busy 2017 filled with exciting new developments. The results of 2017 activity will become more apparent in 2018 as new construction gets underway and new services a​re added to the growing Bulverde area. Within the next few months, construction in the commercial portion of the Walmart-anchored project will include a 288-unit multifamily project, The Pillar’s Christian Early Learning Center, and a 60,000-sf medical professional building. Two other projects are nearing completion include Texas MedClinic and a 23,000-sf inline retail shopping center with tenants including the Animal Hospital of Smithson Valley, AT&T, Massage Heights, Supercuts, Marble Slab/Great American Cookie Co., Little Caesar’s and Luminous Nails. Check out San Antonio-New Braunfels Multifamily, Office, and Retail Market Research.